Looking to wow your guests at your upcoming party or event? Look no further. 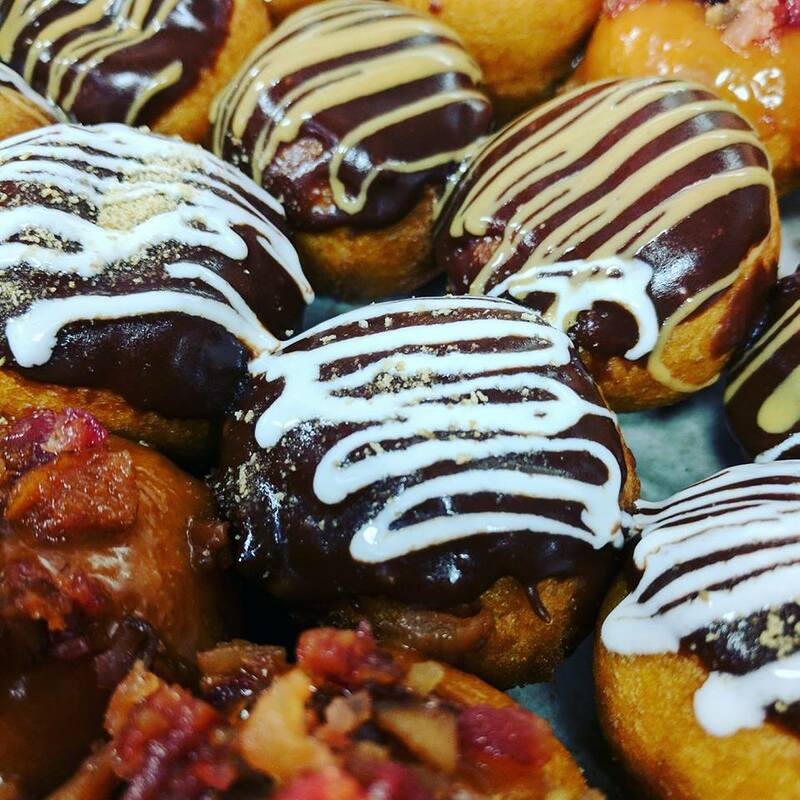 We've compiled some of the Tampa Bay Area's best dessert food truck desserts for you to sink your teeth into. Here's 7 must-have essential desserts from food trucks you need to add to your dessert bar. 1. A bucketful of Cinnamon Sugar Donuts from Jenny’s Mini Donuts. Mmmmm. Donuts. For an easy snack for the on the go dancer - a mini donut is a must. If your guests are on the move and need a quick pick me up a warm donut made from love is the way to go. 2 bites and you’re ready to get back on the dance floor, or go right back into the fray to network. 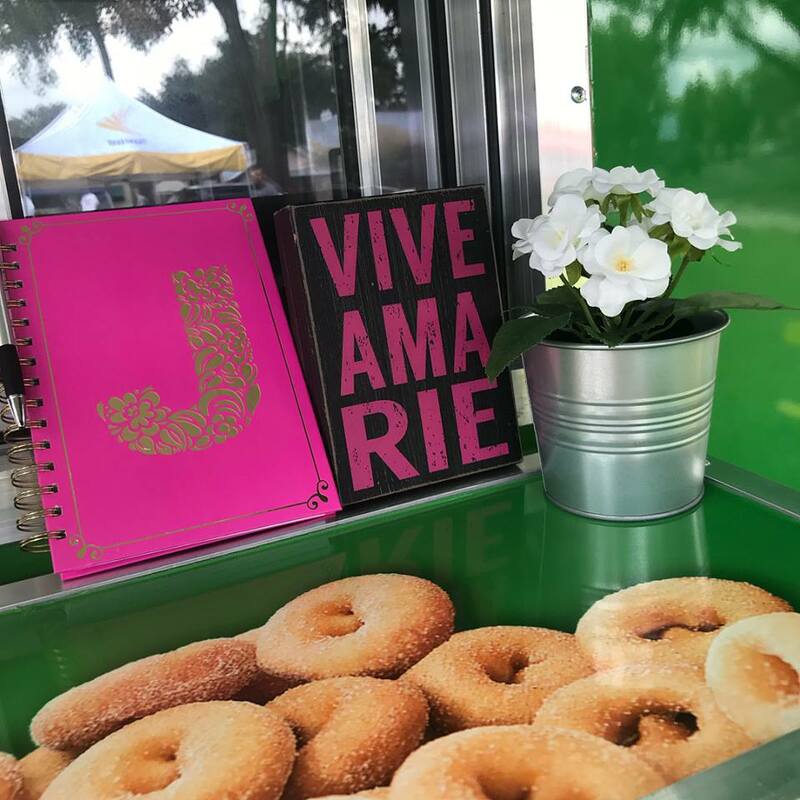 All of the donuts from Jenny's Mini Donut truck are fried and made right in the food truck so it’s gauranteed fresh. A cinnamon sugar donut is simple, yet they stand out from the crowd of the usual dessert table fare. 2. Mini Key Lime Pies from Got Candy & More. Wanna know how to wow your party guests? Mini pies. 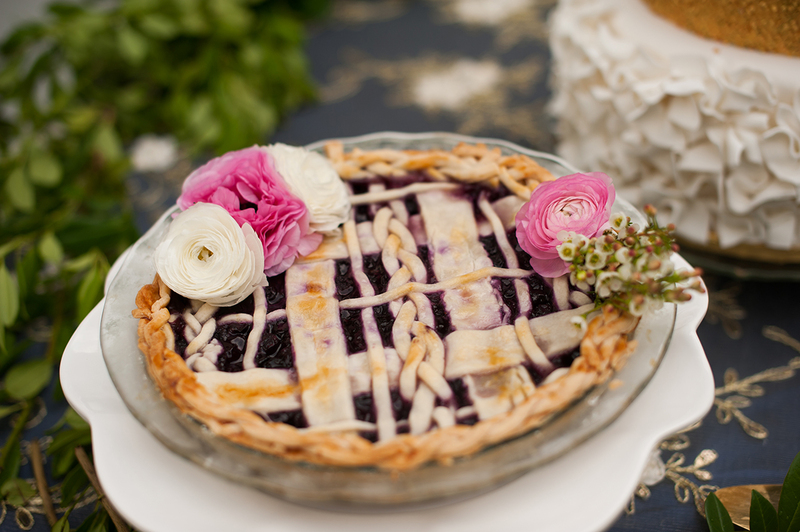 Step outside of the norm and offer pies instead of cupcakes! Your guests will never forget such a unique dessert. Just like a mini cupcake, a mini pie is just a couple of bites. If you’re not a key lime pie person, you can choose to do another flavor like Buckeye or go the savory route instead! 3. Mini Cupcake Assortment from Mmmm-Delicious. Why limit yourself? You can order 15 or 100, and pick up to four flavors to sport at your event's dessert table. Some of our personal favorites include Lemon Blueberry, Mimosa, Strawberry & Champegne, Chocolate Bacon, and Coconut. But that’s just a few flavors that you can choose out of the 90+ flavors on the Mmmm-Delicious food truck's menu. Just like a mini donut, this is the perfect treat for your guests on the go. 4. Eddie Bull’s Chocolate Chip Cookie Dough from YoYo Juice. Sprinkles, chocolate chip, salted caramel, oh my! Yo Yo Juice knows how to serve up the perfect scoopa-bull cookie dough. While you can either bake or eat it - we suggest eating it. Did we mention they offer a gluten free option in both sprinkle and chocolate chip? 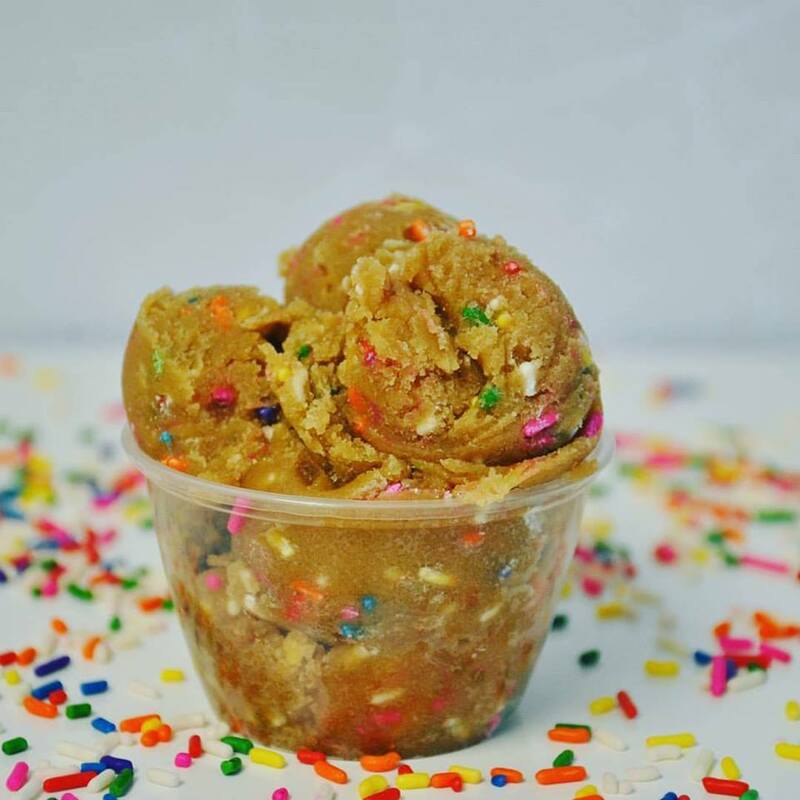 Edible cookie dough is a great option not only for kids, but adults of all sizes. Have you ever met someone that hasn’t admitted to licking the bowl as a kid when baking cookies with mom? Nope. Make your party guests’ wildest dreams come true and serve up some dough! Set up your dessert table so that you have individual portions for guests to grab and go, or a bowl for guests to serve themselves. Cookie dough can be a bit of a more intimate dessert since there's some scooping involved, so it's perfect for the family get together or even an alternative to cake at a birthday party. 5. Chocolate Sout Cupcake from The Naked Cupcake. While The Naked Cupcake offers a ton of flavors and options, the chocolate stout cupcake has won our hearts. 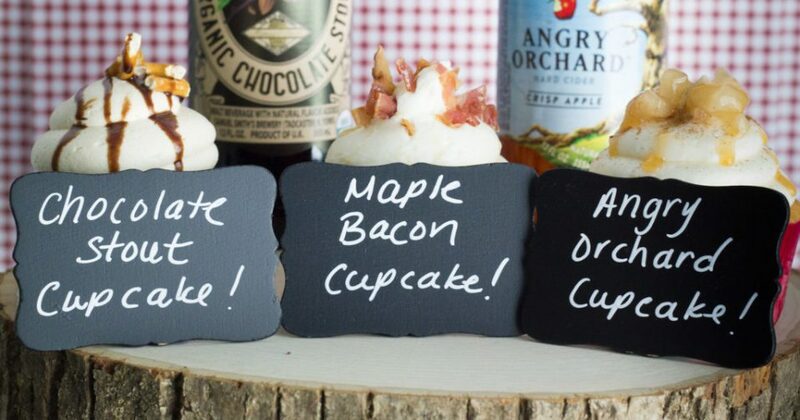 While beer may sound a bit weird in a cupcake - but its darn right delicious. The chocolate stout flavors the body of the cupcake, and its topped with a peanut butter frosting topped with a butter snap pretzel. Yum. Not a chocolate person? A stout person? Not an adult? Don’t worry, The Naked Cupcake offers a ton of flavors. 6. Sweet Tart Crepe from The Crepe Company. Shhhh. So technically the sweet tart crepe is a breakfast crepe made by The Crepe Company, but your guests won’t know. We never knew something so sweet and simple could be so delicious, but the sweet tart proved us wrong. Crepe + Raspberry Preserves + Cream Cheese = the best sweet tart crepe known to man. Crepes are the perfect treat for a breakfast party or even a sweet breakfast bar for work. 7. French Toast donut from Craving Donuts. So we already put donuts on the dessert list but this is a full sized donut. And a donut you absolutely can’t pass up. We’ve had all types of donuts from all different places but Craving Donuts is one of the donut stops you can’t pass up. The French Toast donut tops it off. Craving donuts makes their doughnuts from a sour dough type dough that makes your taste buds simmer. It’s light and fluffy a bit like a cloud. Did we make you hungry? Did we get you excited for the possibilities of where you can take your dessert bar? Let us help you make your dreams come true and put your party into action. Tampa Bay Food Trucks can help you book the trucks, and set up the menu for your party/event. 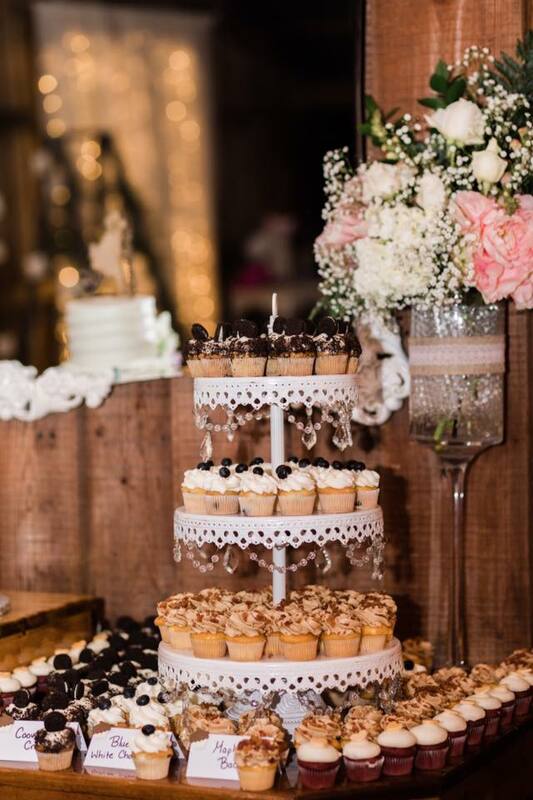 Whether you want to have a dessert bar, or have people pass the desserts at a party we've got it! Contact us here.